1994 Every Sunday night a small group of people would gather in the home of Pastors Bubby and Cindy Morgan to do nothing more than pray and learn to encounter the presence of God. This was the birthing place of what would become Morgan Ministries and The Feed Store Churches. It was during this time that the Lord began to plant a vision to reach southern Colorado in the hearts of Bubby and Cindy. 1995 Bubby and Cindy had a burning passion in their hearts to share the love of Jesus with everyone. Their ministry began through speaking engagements across the western United States at several churches, rodeos, conferences, and youth revivals. 1996 Morgan Ministries was founded. 1997 The first official church plant of Morgan Ministries was established as Covenant Cowboy Church and held every Tuesday night at the Monte Vista Sale Barn. Traveling ministry continued. 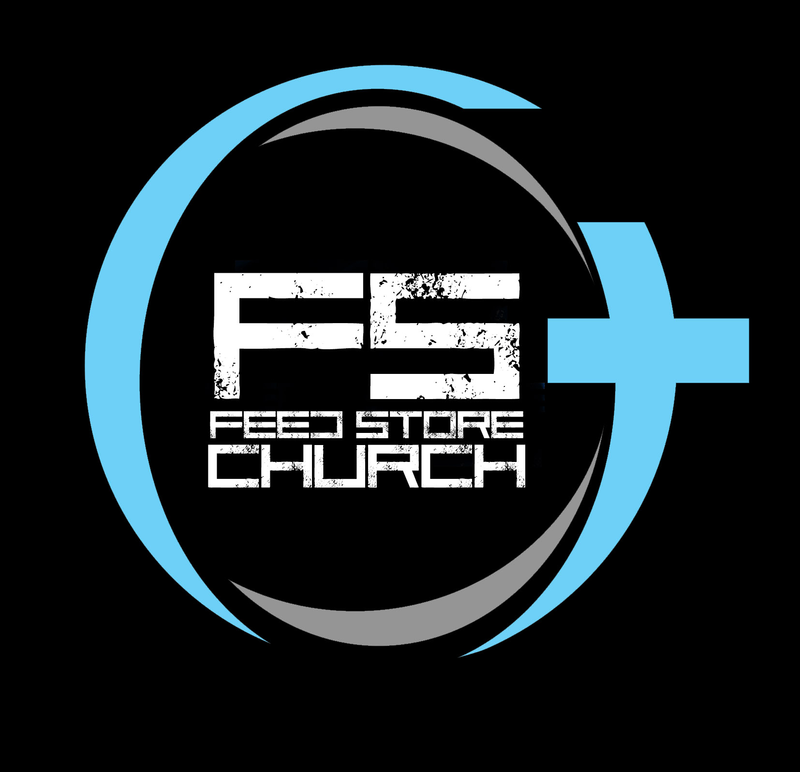 1998 The church plant was moved to the national Guard Armory building and renamed the Feed Store. Every Tuesday night a group of about 60-70 people would come together for church. Bubby and Cindy would come early and push the hummers out of the way to have service and then push them back after service. The Morgans started another Cowboy Church at the La Junta Sale Barn held on the first and third Friday of every month. Speaking engagements in Arizona, Oklahoma, and Texas kept them on the go. 1999 God put it in the hearts of the Morgans to slow down the travel and plant a training center in the San Luis Valley with several outreach ministries growing out of this. With that, The Feed Store was finally able to move into it's own building. A space above a department store in Monte Vista was rented. The excitement to have open rooms, a kitchen, separate restrooms, and an office for Bubby was overwhelming. We hosted our very first halloween alternative Harvest Hoe Down. It wasn't long after that an outreach was established in both La Veta and Mesita once a month. The cowboy church in La Junta continued to grow and God provided the people to take over the ministry. 2000 The Feed Store experienced incredible growth after moving into the new building and moved from a Tuesday night service to a Wednesday night service, Friday night intercessory prayer, Sunday morning service, and Sunday night discipleship service. 2002 The Feed Store outgrew the space in Monte Vista and were able to move and rent the entire National Guard building, where services had been held years before. 2003 We opened our first extension campus in an old one room school house in Las Animas, Colorado. Services were held on Sunday nights. 2004 Continual growth was taking place at our Monte Vista campus and we moved to two services and added a balcony in our sanctuary. We purchased an additional building to be able to keep up with the growth of our youth ministry. 2005 A second modular was purchased for additional children's room at our Monte Vista campus. Our second extension campus was started in La Veta, Colorado and held at the 4-H barn every Sunday night. Our Las Animas campus quickly outgrew their building and were able to move into town into a new building. 2006 We were able to purchase our Monte Vista campus building. And we broke ground on a building for our La Veta campus, to be moved into later that year. 2007 We held our very first campus wide youth conference in Horn Creek, Colorado with about 40 teenagers in attendance. 2009 The youth conference was moved to a new location due to the growth that had taken place in the last two years. 2010 Our first annual Conquer Women's Conference was hosted in house at our La Veta Campus. 2011 Our Conquer Women's Conference was moved to the Train Depot in Pueblo, Colorado due to an increase in registration numbers. 2012 Outgrowing our previous venue, yet again, our Conquer Women's Conference was moved to the Pueblo Convention Center. 2013 Growth had continued to spread through our youth and children's departments and as a result were able to host our first VBS and in house 3G Youth Conference. 2015 We purchase a third modular at our Monte Vista campus for youth ministry growth. Our Rocktober fest (held on Halloween night since 1999) was moved to a bigger location in Monte Vista, where we were able to see over 2500 people in attendance. 2016 Our Monte Vista campus went to three weekend services in order to keep up with the growth of families. Our Las Animas campus moved to two weekend services to keep up with the growth taking place there as well. Where Morgan Ministries is today and where we are going all began with a single step of faith based on seeking the voice of God that started a journey to see people saved, healed, set free, restored, equipped, and empowered. We are now one church meeting in multiple locations seeking the Lord’s direction for our future and watching God’s plans for us unfold as we plant and oversee multiple campuses throughout Southern Colorado.